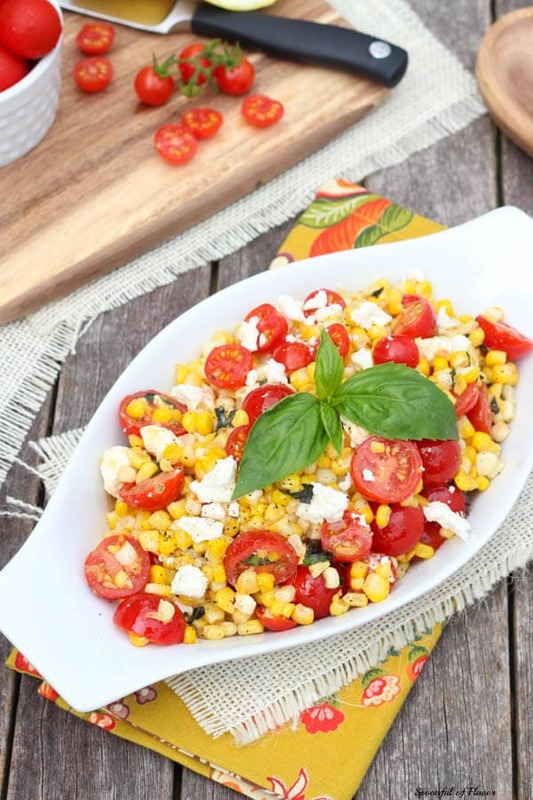 Sautéed Corn with Tomatoes, Feta and Basil is the perfect side dish with plenty of savory flavors! Each year is always an adventure with our garden. We plant different varieties of fruits and vegetables each year and also replant some of our favorites. It is always a surprise to see which plants do well and which struggle to produce. For the past three years, we have experimented with different tomato plants. Each year, we have the same result, very few tomatoes and an abundance of cucumbers, peppers, zucchini and squash. This year, our summer produce is quite the opposite. Well into August, our garden is still exploding with the most beautiful and sweet little cherry tomatoes. 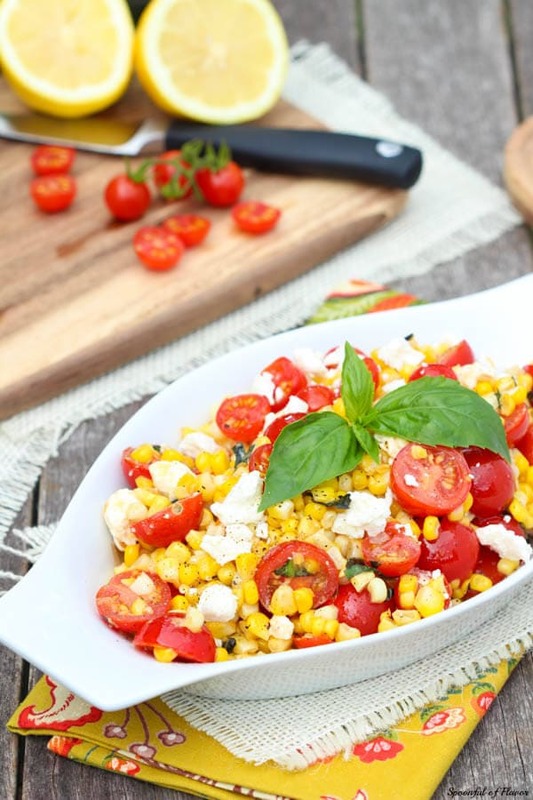 Paired with fresh basil, tomatoes yield plenty of opportunities for recipes full of seasonal flavors. 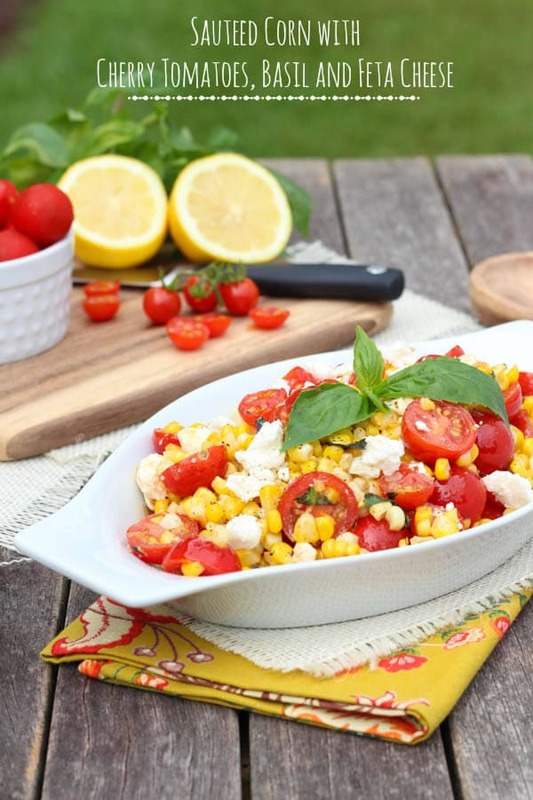 Soon, I will begin planting our fall garden, but in the meantime I am enjoying using these ripe cherry tomatoes in this Sautéed Corn with Tomatoes, Feta and Basil side dish. 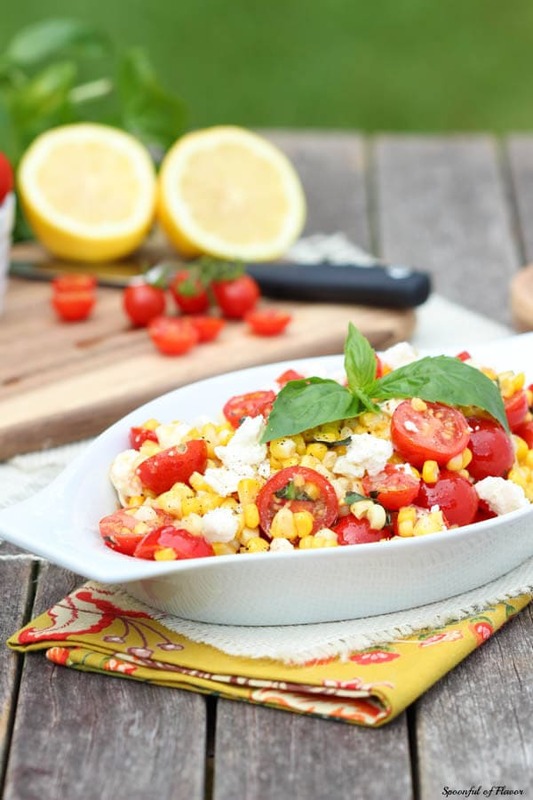 The perfect summer side dish, this recipe includes sweet corn, salty feta cheese and ripe organic cherry tomatoes fresh from the garden. A few simple ingredients combine to create a perfectly sweet and savory side dish. 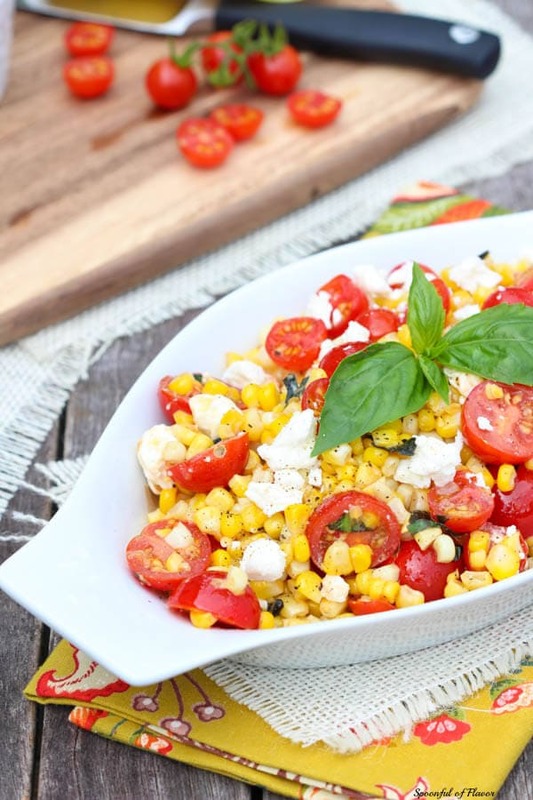 Sautéed Corn with Tomatoes, Feta and Basil is a vibrant side dish perfect for serving with fresh grilled fish, chicken or vegetable skewers! 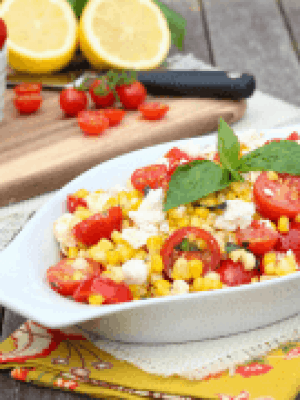 A quick and easy recipe, this dish is ready in less than 15 minutes! In a large nonstick skillet over medium heat, heat oil until it starts to shimmer. Add corn and salt. Cook, without stirring, until corn begins to brown on bottom, about 3 minutes. Stir and continue to cook, stirring once or twice until corn is slightly spotty brown all over, 2 to 3 minutes longer. Transfer corn to a large bowl. Stir in tomatoes, feta, basil, lemon juice and pepper. Serve immediately or refrigerate until ready to serve cold.